Everyone seems to like bagging bilingual legal dictionaries, including me, as I’ve done on more than one occasion on this blog and especially in this post. Is this wrath justified? Probably not. At least in my case. I often forget just how much I use bilingual dictionaries when translating. Without them, I’d have a far more difficult job. The main criticism against bilingual legal dictionaries is that they often fail to highlight the differences between terms in different legal systems. Many go no further than only offering lists of near or sometime even not-so-near synonyms or partial equivalents as translations. This is a valid criticism. The best legal bilingual dictionaries also offer definitions, clarifications and sometimes even translations for different contexts in example sentences. However, even when dictionaries give spot-on descriptions or definitions and good suggested translations, if these translations are not direct and full equivalents, you may find them inadequate for a particular context. This happens quite often in legal translation in which full equivalence is rare. These occasions require creativity, or maybe some would call it adaptability, to come up with a suitable rendering. The problem with bilingual legal dictionaries is not using them; it’s using them incorrectly by relying on them blindly — a recipe for certain disaster. You can nearly blindly rely on a very good dictionary as it will teach you as you go, so to speak. However, very good legal dictionaries are few and far between and, in any case, will never foresee all the potential problems and contexts you will come across and not even half the terms you’ll need to research. In this respect, we probably have too high expectations for our dictionaries, particularly given the wont of legal systems to change whenever they feel like it. So, in practice, we find ourselves with a couple of very good dictionaries that won’t ever cover everything and may not even be 100% correct for your context even when they do and many not-quite-perfect dictionaries. But, if you know what you’re talking about and really are an expert in your field, even the more average dictionaries can help. When you look up a term and all you get are synonyms without any context, the suggestions should at least put you on the right path. You can normally discard most of them, investigate the likely ones and come up with the right solution. ‘The problem with bilingual legal dictionaries is not using them; it’s using them incorrectly by relying on them blindly […]’ Could not agree more. That is why it is important not to rely on a single dictionary, but make sure you also consult monolingual ones, as well as glossaries. 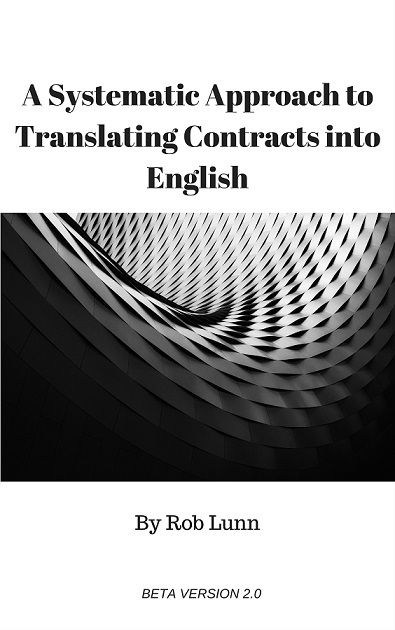 With legal translations, matters are made more difficult, like you say, by the lack of perfect equivalence due to different legal systems used in different countries. Yes, when you look in a dictionary and find a synonym without much explanation or any context, it is best to check how close a match it is. Thanks, Alina! Sometimes, we need to take another path like keeping a proper noun referring to a law or concept and giving a literal translation between  or using translators notes. And yes, I’d prefer to be left wondering by an untranslated word I didn’t understand than to be mislead by a half-correct (partially equivalent) synonym in contexts where the detail in question matters. Bilingual dictionaries are essential tools for second language learners, but using them correctly requires more than just looking up a word in one language and picking the first translation you see. Cabanellas de las Cuevas, G. & Hoague, E.C. English Legal Dictionaries, Law Library Journal 1994 (p. 230-235) p. 232.